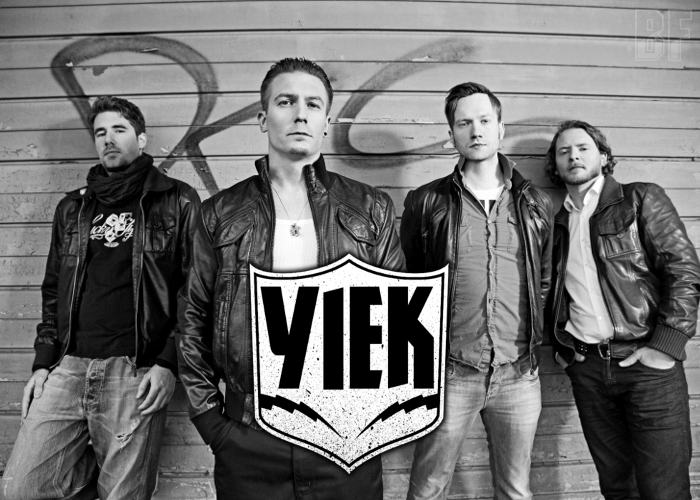 German Hard Rock band YIEK will release their first album “The Drive” through 7Hard on February 27th, containing some songs from their self-released EP. The band was founded in March 2009 with a quirky band name YIEK, and the name came from the fact that Andy’s broken guitar always was doing these strange feedback sounds like squeaking. It was triggered by the day when the four met at a very hot New Years Eve party and have an unusual experience, and they hung around together since. YIEK has a maximal intensity which is a simultaneous catchy sound, faster, louder and harder (as they say), along with Malte’s unique voice. They have been rocking audiences at clubs and festivals in Germany. They also played as a support for bands like Exilia, Psychopunch and Jex Toth on their tours. YIEK will have “The Drive” Tour 2017 & Friends with The Great Dirt and Buck Bandit on March 11th and 12th. For fans of Heavy Rock.